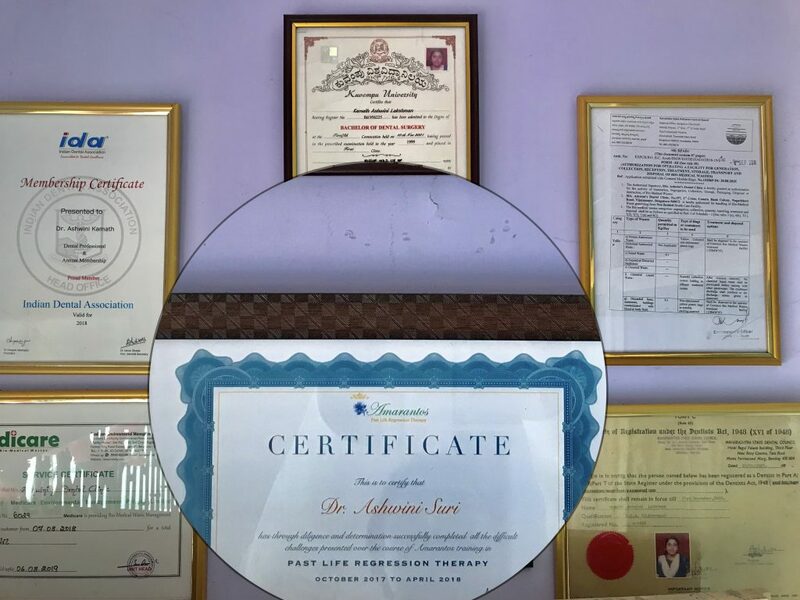 As some of you might already know Dr. Ashwini is the ‘Defence Doctor’ who was trained by Mr. Venu Murthy in the Amarantos Aquila batch of Dec 2017. Hypnodontics is the use of Regression (Hypnosis) in Dentistry. You could read more about it on these slides. “The scope is Vast..” is what Dr. Roshni of Amarantos Aster batch talks in this testimonial video after her training, and we have come to believe in it after seeing PLRT being improvised in various healing modalities. You would be surprised to know that even before her clinic opened, she had already conducted 50 PLRT sessions in the past 2 months! Not only that while talking to her during the opening, she told us that she would treat 90 dental cases per day while serving in the military hospital, Dehradun! The clinic you see in the pic above was built by her dad because right after her birth as it was predicted that she would be a healer! And you bet, healer she is and aptly named so! (In the pic from left to right is Dr. Ashwini’s mom, Dr. Ashwini, Sachi her PLRT batchmate and Neha)Dr. Ashwini is our star not only for being such a superwoman but also for being a single Mom of two lovely kids and a brother–Prashant who is specially abled.Both Dr. Ashwini and Prashant have done some groundbreaking work and towers as an inspiration for all of at Amarantos. Please watch their talk on this youtube video.She is also on the Amarantos Advisors team, mentoring and Onboarding new Amarantos PLR Therapists!Dentistry is already evolving as contactless, here is Amarantos contribution to making it drugless! Kudos to you Dr. Ashwini! Amarantos feels blessed to have you with us in the family! 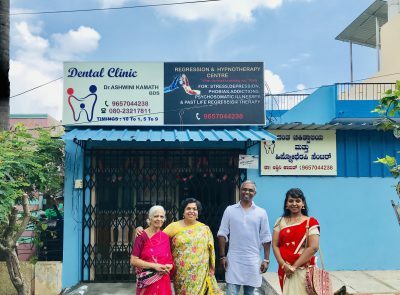 Her Bangalore clinic opened on 19th Oct in Canara Bank Colony.